If it is hard enough to anticipate developments in pure lighting, how much tougher will it be to plan and specify extended or value-added ‘lighting-plus’ systems linked to the internet or building management systems? One answer may be to make it the supplier’s problem, not the specifier’s. Pay-per-lux or subscription-based Lighting as a Service (LaaS) does this by leaving the ownership of the fittings and controls with the vendor, right through to recycling. Users no longer buy lighting, they rent light, which takes lighting out of capital expenditure and makes it an operating cost that may be reduced as the system gets smarter or more efficient. Zumtobel developed a LaaS scheme called NOW! as a way of encouraging users to move to LED lighting. Its approach includes taking on project planning, implementation and management, with the installation and investment costs paid from energy savings over time. An agreement covers disassembly and disposal of the old luminaires, plus the installation, commissioning, maintenance and repairs of the new. The benefits of switching to new lighting and using LEDs is felt by both supplier and user: lower running costs, reduced maintenance and cuts in emissions. This can include the use of online energy monitoring to help optimise lighting. This service delivery approach has mainly been tried with LED street lighting, but is making its way into architectural lighting and even edging towards the home as commercially available LiFi becomes available and vendors look for ways to integrate technologies more effectively. ‘I drink water but I don’t have a reservoir in my basement,’ remarked Philips Lighting Benelux general manager Frank van de Vloed. He made the comment with respect to an agreement arrived at between Philips and energy services company Engie (formerly Cofely) under which Schipol Airport in the Netherlands pays for the light it uses but not the fittings, supplied by Philips. Using a system based on LED sources should cut the airport’s electricity consumption in half, and the specially tailored fixtures are expected to last 75 per cent longer than the previous conventional lighting. Replacing components rather than whole fixtures saves on resources. 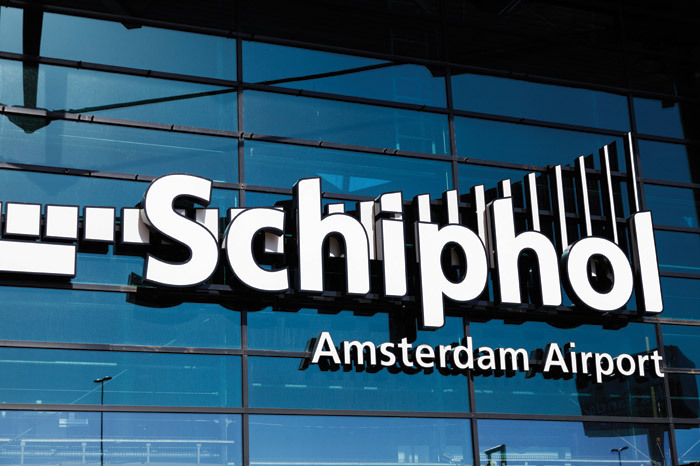 And while Philips will retain ownership of equipment, Schiphol Group will lease it for the duration of the contract so that at the end of it, fixtures will be reused elsewhere after upgrading. In 2013, Philips announced that it was adopting a ‘circular economy’ approach to business in which ‘the conventional model of customer ownership of the product is replaced by customer access to the product “paying for performance”.’ An example of how Philips is applying this new approach is its ‘pay per lux’ model, which allows customers to use the best lighting solution for their needs without owning the hardware. Because it focuses on outcomes, rather than ownership, the LaaS model is potentially disruptive, in the positive sense, but not entirely revolutionary. Parallels already exist in the auto industry, for example, where some car makers such as Volkswagen see a future in selling mobility rather than vehicles, and car clubs offer an alternative both to owning and hiring. In that case, when service design is applied to the whole design, production and sales chain manufacturers lease components, which means that, instead of relying on obsolescence to fuel business, it is in their interests to conserve parts and vehicles. Philips’s global head of sustainability, Henk de Bruin, describes the need to ‘decouple our material use and energy consumption from economic growth, and to experiment with leasing contracts instead of relying on a “boxed product” business model.’ When Philips worked with RAU Architects on the fit-out of the practice’s offices in Amsterdam, architect Thomas Rau said: ‘I’m not interested in the product, just the performance. I want to buy light, and nothing else.’ The result was a lighting system that made extensive use of free, natural light and specially adapted LED fittings with a combined daylight sensing and control system to cut energy use, provided as a service. Innovate UK, the former Technology Strategy Board, is co-funding a LaaS project aimed at households, but also applicable to smaller enterprises. It is being run by the London-based Agency of Design, a group of designers, engineers and strategists that originally collaborated at the Royal College of Art where it sought a solution to ‘the unhappy ending of products’. Concerned that ‘the consumer recycling rates for light bulbs in the UK are around one per cent’ it is developing a lighting service based on an annual fee that covers collection and replacement’. It proposed a new modular design for lamps that ‘decouples the fast-changing LED technologies from more mature power-supply technologies’ in order ‘to avoid obsolescence, something that can be problematic and unprofitable when offering a product as service’. The Agency of Design adds that ‘to make a service like this work well we need as much information as possible about usage, performance and location. This is made possible by using low-cost connected technologies’. Innovate UK is co-funding another LaaS project as ‘a test bed to demonstrate the Internet of Things for power networks in commercial building management’. Project partners include the IT company Cisco, whose role will be to find ways ‘to manage smart loads, reduce costs and carbon emissions, and create new-use cases for lighting’; lighting controls developer amBX; visible light communication developer pureLiFi and the University of Strathclyde. Formed in 2012 as a spin-off from the University of Edinburgh, pureLifi signed a deal in November 2015 with France’s Lucibel to produce LiFi LED luminaires that should reach the market this autumn (see Sogeprom box in previous feature in this supplement). Philips, Osram and GE have been preparing to sell off or reposition their LED lighting businesses to increase the overlap with digital technologies. Philips and Cisco also announced a global strategic alliance in Power-over- Ethernet-based smart office lighting at the end of 2015. Moving away from physical product and towards LaaS enables manufacturers to transcend market saturation.